*Lunar Discovery: Let the Space Race Begin (Deal, Not Free) by Salvador Mercer. Price: $0.99. 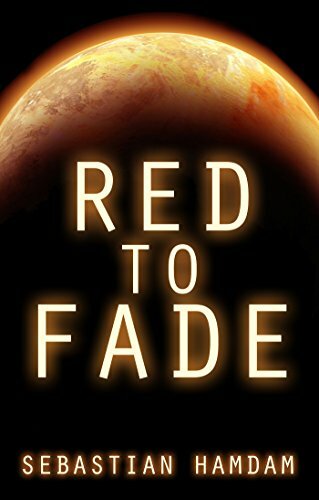 Genre: Science Fiction Deal, Sponsor, USA vs China vs Russia for the Moon, Genetic Engineering, Exploration, First Contact, Hard Science Fiction, Space Exploration. Rated: 5 stars on 5 Reviews. 282 pages. ASIN: B014IEFS8M. Reviewers love it: I read a lot of science fiction, approaching a 1,000 novels, so I speak with some authority: Lunar Discovery is really, really good! I really enjoyed the setting of a second moon race! This book got it all correct – Definitely Recommended! Anyone who loves anything to do with NASA and the quest to get to space will love this book! **The Angel & the Brown-eyed Boy: A Paranormal Adventure (Earth’s End Book 1) by Sandy Nathan. Price: Free. Genre: Science Fiction of the Day, Paranormal & Urban, Adventure, First Contact, Metaphysical & Visionary. Rated: 4.6 stars on 32 Reviews. 310 pages. ASIN: B004I1L1AU. CrimeSpree: You can’t kill murder by Rich Hayden. Price: Free. Genre: Science Fiction, Literary, Action & Adventure, Humor, Literary Humor. Rated: 4.5 stars on 4 Reviews. 235 pages. ASIN: B00ZE5175I. *The Star Child (The Dark Days of the Institute Book 1) by C.D Cardinet. Price: Free. Genre: Paranormal & Urban Fantasy, Science Fiction Adventure. Rated: 5 stars on 5 Reviews. 352 pages. ASIN: B00WAN0YN8. Very unique cover – can’t decide if it’s gloriously minimalistic or too sparse to be good. *Ash Street by Lee Thomas. Price: Free. Genre: Ghosts, Horror. Rated: 4.2 stars on 5 Reviews. 283 pages. ASIN: B00CCCMJ4E. Bram Stoker Winner, Lambda Literary Award winner. *The Unknown Man: Prequel to The Keepers of the Orbs Series (Repeat) by J.G. Gatewood. Price: Free. Genre: Epic Fantasy. Rated: 4.4 stars on 23 Reviews. 602 pages. ASIN: B007KWENFO. **Wanderer’s Escape (Wanderer’s Odyssey Book 1) by Simon Goodson. Price: Free. Genre: Science Fiction Adventure, Sponsor, Galactic Empire, Space Exploration, Space Opera, Exploration. Rated: 4.2 stars on 426 Reviews. 250 pages. ASIN: B00AZ7YSFQ. *Inheritance (Wizards of Seattle Book 1) by John O’Riley. Price: Free. Genre: Science Fiction, Paranormal & Urban Fantasy. Rated: 4.3 stars on 45 Reviews. 162 pages. ASIN: B00MWZ150A. *The Gambit with Perfection (The Phantom of the Earth Book 2) by Raeden Zen. Price: Free. Genre: Science Fiction, First Contact, Alien Invasion, Genetic Engineering, Post-Apocalyptic. Rated: 4.9 stars on 14 Reviews. 409 pages. ASIN: B0140GF0AO. Book 1 in the Series also free today (below). *The Song of the Jubilee (The Phantom of the Earth Book 1) by Raeden Zen. Price: Free. Genre: Science Fiction, Genetic Engineering, Post-Apocalyptic. Rated: 4.9 stars on 14 Reviews. 325 pages. ASIN: B0140FWBDE. Book 2 in the series also free today (above). *Sons of Abraham: J-17’s Trial by JOSEPH RAY. Price: Free. Genre: Science Fiction, Exploration, Military, Space Opera, Space Exploration. Rated: 5 stars on 6 Reviews. 190 pages. ASIN: B00YY47EJS. For God & Country: A Creed Novel by D.L. Timmerman, Pete Semple, Justin Fleetwood. Price: Free. Genre: Science Fiction, Suspense, Adventure. Rated: 5 stars on 4 Reviews. 335 pages. ASIN: B00RSJPHOK. *Shoken Wars: Fragile Peace by DJ Bowman-Smith. Price: Free. Genre: Dark Fantasy, Epic, Gay & Lesbian, LGBT. Rated: 4.7 stars on 9 Reviews. 224 pages. ASIN: B00FOXCILC. *Sparked (Independence Falls Superhero Romance Book 1) by Lily Cahill. Price: Free. Genre: Science Fiction Romance, Paranormal & Urban, New Adult & College, Superheroes, Superhero. Rated: 4.9 stars on 28 Reviews. 303 pages. ASIN: B015Z32XQA.